Our sieves and screeners are normally part of a bigger processing line and are therefore usually connected to processes either before or after our equipment. 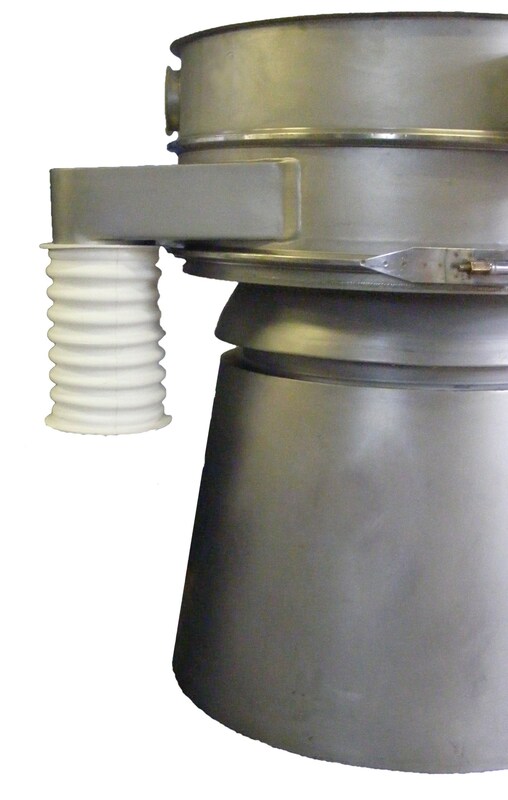 With the correct flexible our sieves will fit seamlessly into a process. However, when a flexible is incorrectly fitted problems can occur. A common problem is caused when fitting certain flexibles which restrict both vertical and/or horizontal movement of the machine. This puts undue tension on the outlet that overtime can cause the outlet and/or flexible to break. Restricting sieves in this way may also reduce the sieving accuracy as this may alter the dynamic forces being passed through the sieve. It is easy to check if the wrong type of flexible is used as it will transmit vibration to the item to which it is connected. This should not be the case since the sieve should be isolated via the flexible connectors. We generally recommend convoluted flexibles which allows the vibratory sieve to move in all directions. If a straight sided flexible is used then adequate slack must be included to compensate for movement of the sieve in both the vertical and horizontal plane.